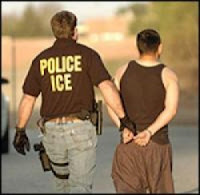 Worth Reading: What If Illegal Aliens Were Deported? Small thinkers like Barack Obama, and nearly all Democrats continue to perpetuate the outrageous myth that America cannot deport upwards of 38 million illegal aliens. To which sane patriots immediately demand: Why the Hades not? After all, each and every one of the interlopers came here one at a time; let us send them home the same way! *W.Bush would be forced to learn proper English, rather than relying on illegal aliens to make him sound good by comparison! *Freeing poor illegal aliens from "Living in the Shadows of American society" would no longer be the rallying cry for millions of Marxist wusses intent on destroying our great nation!